Is Fracking to Blame for the Contamination? Currently, the majority of our world is dependent upon fossil fuels. In order to diminish this dependency, many have advocated for the use of natural gas as a replacement. Although natural gas can be cost-effective and exists in abundance in the US, obtaining this resource can be the cause of many environmental issues. The main way to acquire natural gas is by the process of fracking. In this process, water and other compounds are pumped deep underground at high pressure to create cracks (fractures), which will release natural gas into collector wells. As this process is extremely effective in removing the natural gas from the ground it also releases many harmful pollutants into the surrounding groundwater. Researchers have discovered elevated levels of heavy metals in the groundwater surrounding natural gas extraction sites. These metals include strontium, selenium, and arsenic, which an already be found in groundwater in trace amounts which is okay, but elevated levels of these same metals can prove problematic, which is occurring in extraction sites all over the nation. Colorless, odorless, and highly flammable, methane is the primary component of natural gas. It is not regulated as a drinking water contaminant, but it poses potential health and safety hazards. Scientists at Duke University have also conducted independent studies proving the same findings. Drinking water wells located near natural gas extraction sites are at a greater risk of methane contamination. They believe that the chemical “fingerprint” of methane found in the drinking wells matched that of the natural gas’s methane composition. Of course, members of the drilling company argued that methane is naturally found in wells, but the scientists disagreed claiming that the type of methane found does not naturally occur in drinking water. It is no coincidence that areas surrounding these facilities are discovering more and more issues with their water supply as evidence supports the idea that natural gas extraction sites are the ones to blame for increased contaminants in those supplies. 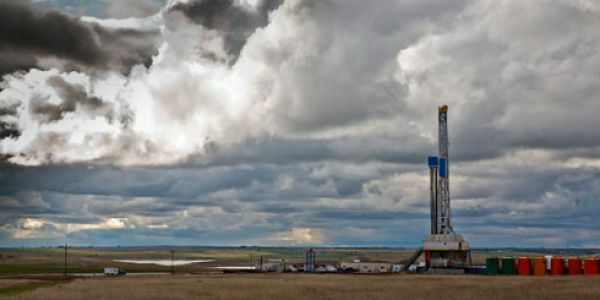 Unfortunately, there is just not enough data to support whether natural gas extraction contaminates groundwater, if fracking is to blame or how to keep it from happening elsewhere. Ultimately, safer fracking operations will benefit the industry as well as the families living in fracking territory. Until the public has full confidence that its drinking water is being safeguarded from contamination, they will continue to protest fracking’s expansion. Natural gas, what we thought to be an excellent solution, is crumbling before our eyes in regard to its process and value. This entry was posted in Environmental Concerns and tagged Fracking, Natural Gas, Water Supplies on August 1, 2013 by BioHitech America.